Deputy Prime Minister Dmitry Kozak is reportedly one of the main candidates to replace the head of the Russia’s second largest city. 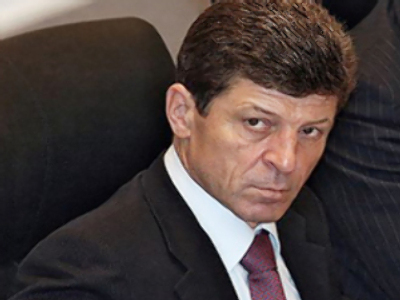 ­Kozak may be appointed to this post as the current governor, Valentina Matvienko, is bound to head the parliament’s upper house, the Federation Council. The deputy prime minister is also expected to head the ruling United Russia party’s ticket during the December parliamentary elections, Kommersant daily writes. St. Petersburg is the city where Kozak started his political career. In the 1990s, he worked at the Mayor’s Office together with Vladimir Putin, and had previously studied at St. Petersburg University at the same time as Dmitry Medvedev. In 1991, Kozak headed the law department of the city administration. Kozak’s main task in St. Petersburg would be to improve the city’s deteriorating infrastructure and the housing and utilities sector. At the same time, he is also expected to boost United Russia’s popularity in the region, the daily posits. In July, Kozak visited St. Petersburg and described the city’s snow removal efforts last winter as a “catastrophe.” He promised to personally supervise the snow removal program in St. Petersburg for the forthcoming winter. Earlier, Kozak supervised regional development projects, including in the North Caucasus, and has in-depth knowledge of many regions in the country. He also headed a commission that prepared a series of administrative and municipal reforms, with many analysts arguing they were not very successful. 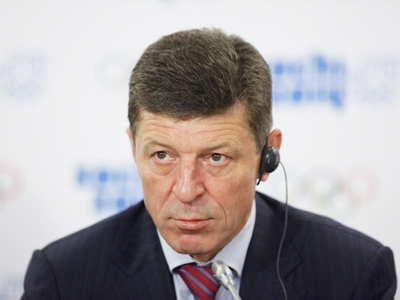 Since October 2008, Kozak has been responsible for the preparation of the 2014 Winter Olympics in Sochi, and many believe that this huge state project may prevent him from taking the St. Petersburg governor’s post. United Russia’s representatives are sending mixed signals as to whether Kozak will head the city administration or not. The current governor is still Matvienko and the party considers it to be premature to discuss who will be her successor, as was related to reporters on Thursday. The municipal elections, which are bound to catapult Matvienko to the upper house, are scheduled for August 21. At the same time, a source in the regional branch of the party said Kozak was most likely to head United Russia’s slate in the city for parliamentary elections. The source did not rule out that Kozak could head the city administration as well, RIA Novosti reports. United Russia, which has a majority in St. Petersburg Legislative Assembly, enjoys the right to propose several candidates for governor. After the president nominates one of them, the candidacy should be appointed by the city’s parliament. The deputy minister recalled that the issue is fully “within the president’s competence, but no decision has been taken as of yet.” He also declined to comment on the rumors that he will head United Russia’s list of candidates in the city. “I have a lot of work now, and nobody has taken away any of these duties from me,” he said. The deputy prime minister jokingly rebuked journalists for asking “provocative questions” while the city still has a governor. 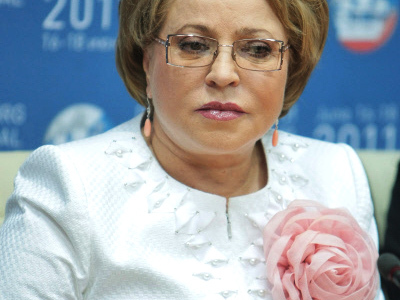 The Matvienko administration has been “the most efficient one in recent years,” Kozak said. He argued that St. Petersburg has been developing successfully under the current governor. Meanwhile, in Moscow, Mayor Sergey Sobyanin is leading in the primaries organized by United Russia and Prime Minister Vladimir Putin’s Popular Front. The primaries started in the Russian capital on July 21. Sobyanin got 6,678 votes, and is trailed by his deputy Lyudmila Shvetsova, who received 5,328 votes. Among those leading in the primaries are also the head of the public organization of the disabled people Vladimir Krupennikov, chairman of the council of veterans Vladimir Dolgikh and State Duma deputy Nikolay Gonchar. There were 71 candidates and 10,369 voters representing United Russia and the Popular Front. Shvetsova told reporters that the mayor is likely to head the party ticket in the city during the Duma elections.